Kinetic energy generated by the heart could be used to provide electricity for implantable medical devices including pacemakers and defibrillators. These devices are powered by batteries that need to be replaced every five to 10 years in surgical procedures that can be costly and create the possibility of complications and infections. Now, in a study funded by the US National Institutes of Health, engineers at the Thayer School of Engineering at Dartmouth College, New Hampshire, have developed a dime-sized device that combines thin-film energy conversion materials with a minimally-invasive mechanical design to enable self-charging batteries. The results of the three-year study are published in Advanced Materials Technologies. According to Dartmouth, the team’s work proposes modifying pacemakers to harness the kinetic energy of the lead wire that’s attached to the heart, converting it into electricity to continually charge the batteries. The added material is PVDF, a type of thin polymer piezoelectric film. When designed with porous structures – either an array of small buckle beams or a flexible cantilever – it can convert mechanical motion to electricity. The same modules could potentially be used as sensors to enable data collection for real-time monitoring of patients. 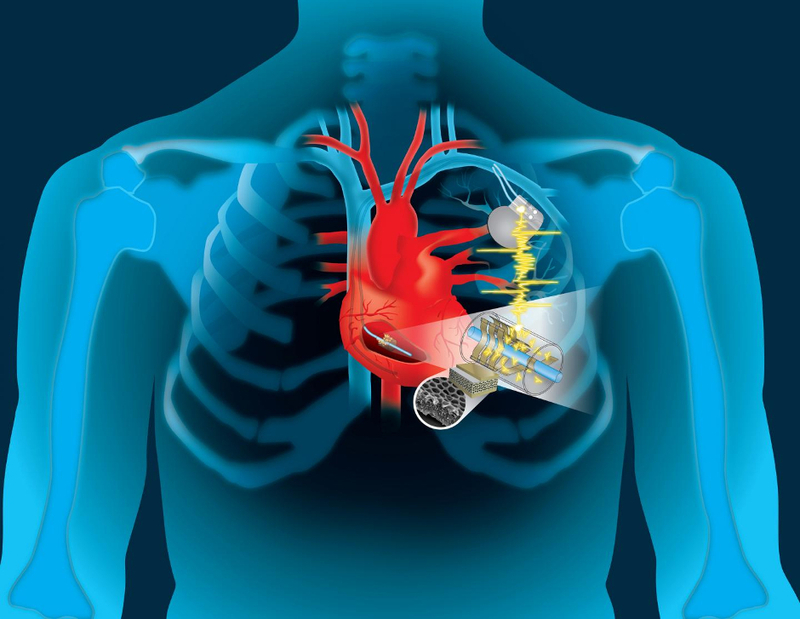 According to Zhang, a self-charging pacemaker is approximately five years from commercialisation.